We aim to make secured progress among the under secured. 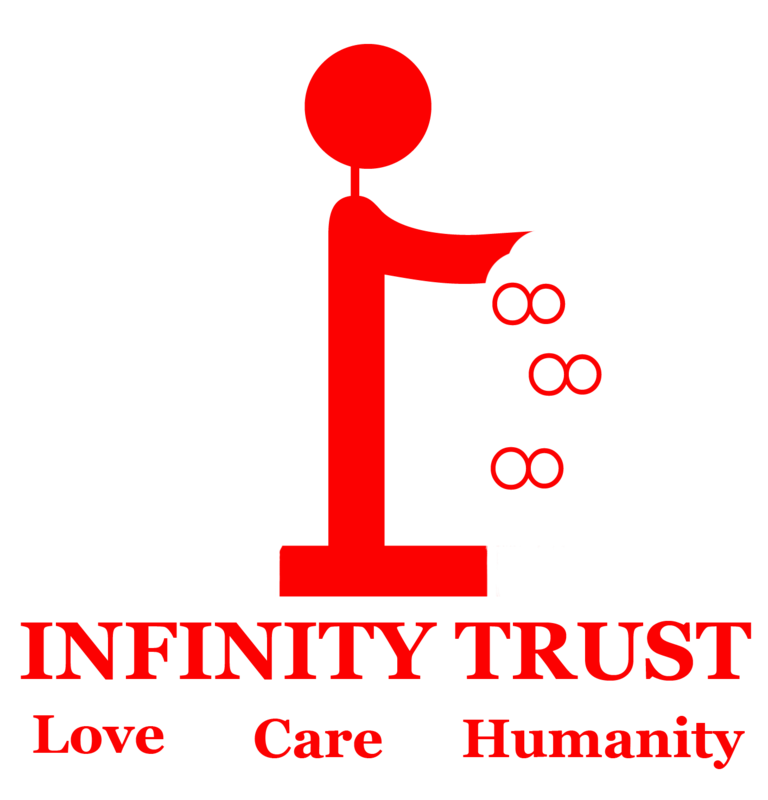 Everything we do with Infinity Trust, we do it to make the world a better place. We had a humble start towards this mission and we are blessed with a great team. Together we dream an altruistic world and we are working hard to make it real. I take this opportunity to thank the fellow Trustees, Benefactors, Members, Volunteers and everyone in Infinity Trust community, it is because of them Infinity Trust is strongly moving towards the vision. Come, let us make the world a better place. "The world's most powerful weapon is a human soul in fire"
Infinity Trust is an Indian Service with Love, Care and Humanity. The objectives are very vast and we hope it doesn’t credit only to Homo-Sapiens but also every Flora and Fauna. 16, Chelladurai Street, Swarnapuri Nagar, T. Kottampatti, Pollachi, Tamil Nadu, India - 642002.